Conceived specifically for control applications where robust click feeling is required along the full circumference. The Q16 incorporates an ACP patented design that provides 4 possible different torque levels: 3Ncm, 4Ncm, 5Ncm or 6Ncm, upon customer’s choice, with a mechanical life of at least 10.000 turns. 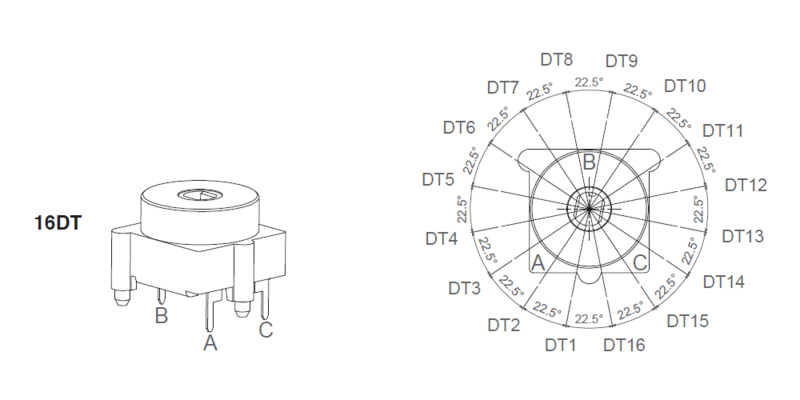 The standard number of detents is 16, all of them evenly spread along the 360º mechanical travel, an ideal configuration for 16 function selection in White Goods. Tailor made configurations with different number of detents, preferrably even numbers equally spread along the 360º, can be studied on request. Other mechanical life requirements are also possible upon study.